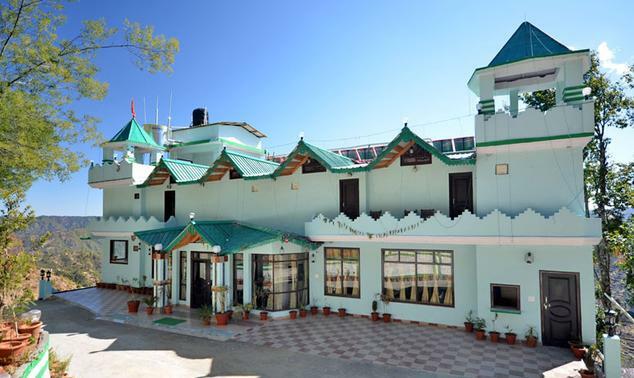 If you are traveling to Mukteshwar for a solo trip or family vacation and are looking for a resort that provides serene location and comfortable accommodation options; then the Green Oaks Resort would be an ideal choice for you. The resort is located in very serene location surrounded by majestic mountains on one side and the gracious valley on the other. The resort offers a range of accommodation options that include Deluxe Rooms, Executive Rooms, Superior Rooms, Family Deluxe Rooms and Luxury Rooms. 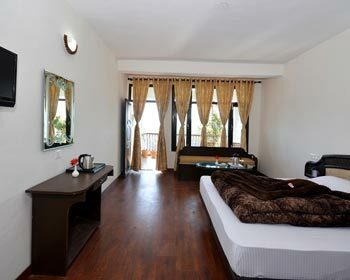 The rooms are designed very tastefully keeping in mind diverse needs and preferences of modern day travelers. The rooms also have all amenities and modern features to ensure that patrons stay pampered and satisfied during their stay at Green Oaks Resort. 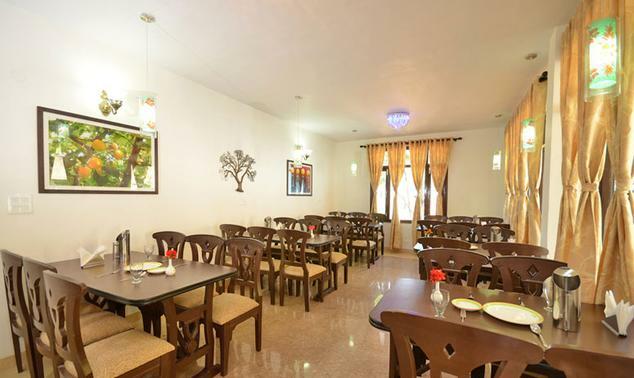 To cater to the culinary requirements of the guests, Green Oaks Resort has developed an on site multi cuisine restaurant that serves variety of Indian, Chinese, continental dishes along with a range of local Kumaoni delicacies. 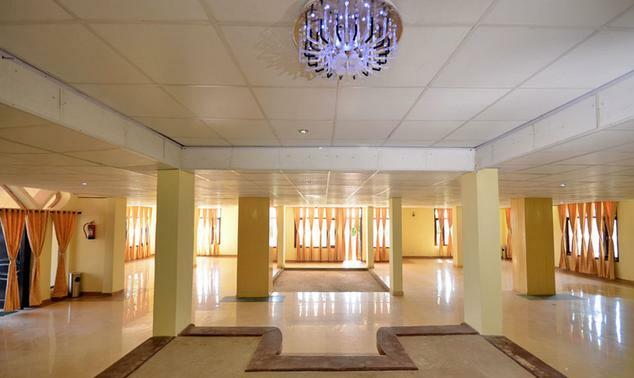 The Resort also has a well equipped conference hall with seating capacity of 125 guests and featured with modern audio visual aids for corporate guests, who might need it for meetings. 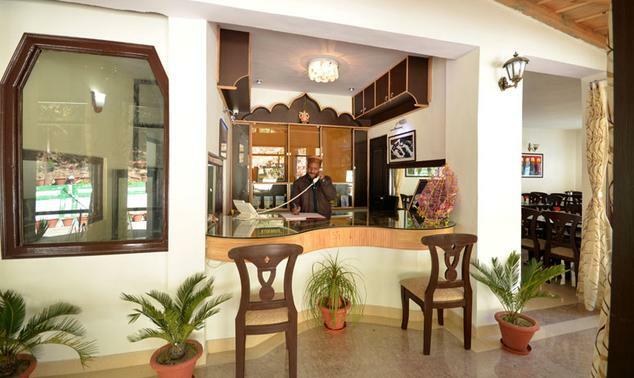 Other amenities provide by Green Oaks resort include Yoga center, massage center, laundry facility, doctor on call, travel desk, taxi on hire, sightseeing arrangements, cultural evening with local folk artists, bonfire every evening, parking facility and many others. 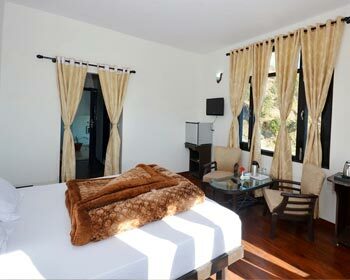 The resort also helps guests in arrangement for adventure activities like rock climbing, rappelling, river crossing, jungle walk, night safari, bird watching and paragliding. Deluxe Rooms are the simplest accommodation option on offer at the popular three star hotel Green Oak Resort in Mukteshwar. These rooms are quite simple and elegant in design and décor. The décor has been tailored by expert decorators keeping in mind the tastes and preferences of the guests. The interiors boast of opulent feel and appeal thanks to the variety of artistic paintings and sculptures that adorn the Deluxe Rooms. 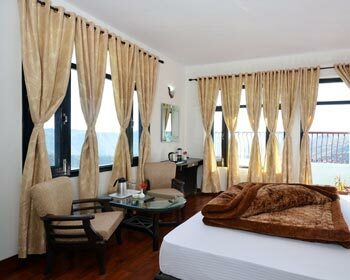 Apart from these, the rooms also have all the necessary amenities and facilities to keep guests in comfort. The main among them include television with cable connection and subscription to premium channels, telephone line with intercom facility as well as direct dial service, mini bar or refrigerator, daily newspaper facility, high speed internet access through Wi-Fi, tea and coffee maker, safety deposit locker and many others. 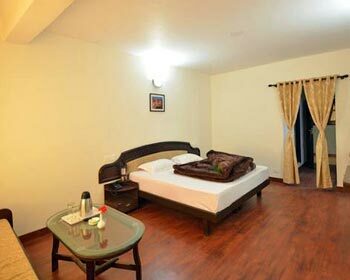 The Deluxe Rooms are very popular among guests because of their budget pricing and premium facilities. Traveling to Mukteshwar on a vacation or a family trip? Then you might need an accommodation option that caters to all your requirements and need without burning a hole in your pocket. 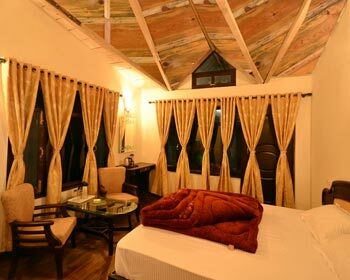 The Executive rooms offered by the Green Oak Resort in Mukteshwar do exactly the same, and much more. These rooms are aimed at small families, couples and business travelers, who need comfortable accommodation option with all necessities. These rooms sport very classy décor that is inspired by local cultural elements as well as contemporary décor themes. The interiors are embellished with gracious paintings and artistic sculpture that enhance the opulent charm of the room. Furthermore, to keep guests in comfort; the rooms are provided with state of the art modern amenities such as television with cable connection and subscription to premium channels, telephone line with intercom facility as well as direct dial service, mini bar or refrigerator, daily newspaper facility, high speed internet access through Wi-Fi, tea and coffee maker, safety deposit locker and many others. Comfortable accommodation and scenic location; these are the factors that make Executive Rooms stand out and apart from others. Experience the scenic beauty and serene atmosphere that Mukteshwar has to offer, by choosing to stay at the Superior Rooms provided by the Green Oak Resort in Mukteshwar. These rooms are aimed at guests who are looking for comfortable, elegant and premium feeling accommodation option that also caters to basic necessities and needs without costing too much. The Superior Rooms are designed very graciously and the décor reflects hues of local culture that is fused with contemporary design styles. These rooms have very opulent interiors that are designed keeping in mind the taste and preferences of the guests along with the majestic natural beauty that surrounds the rooms. As far as amenities and facilities are concerned, the rooms boast of television with cable connection and subscription to premium channels, telephone line with intercom facility as well as direct dial service, mini bar or refrigerator, daily newspaper facility, high speed internet access through Wi-Fi, tea and coffee maker, safety deposit locker and many others. 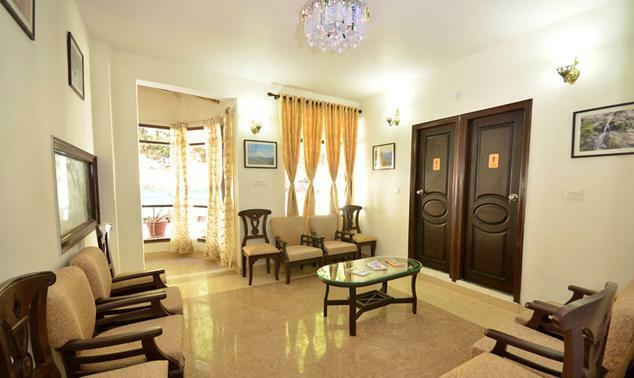 Unique design and classy aura; these are the factors that make Superiors rooms a great accommodation option in Mukteshwar. 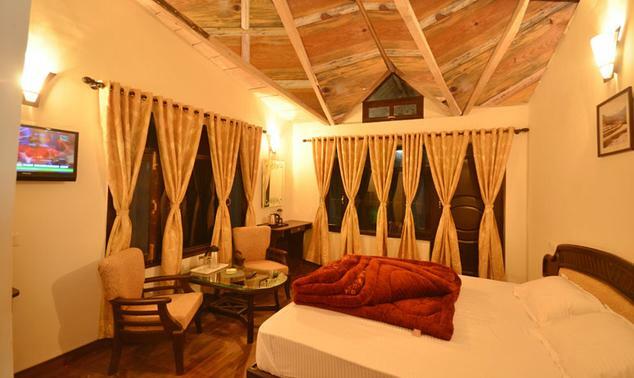 Pamper yourself with best of lavish luxury and classy comfort by choosing to spend your vacation at the Luxury Rooms offered by Green Oak Resort in Mukteshwar. These rooms are carefully crafted by expert architects and experienced designers in such a way that they complement the scenic surrounding beauty while offering comfortable and elegant as well as living space to guests. The interiors of the rooms are very regal in nature and reflect premium feel and appeal with help of artistic paintings, premium furnishings and gracious sculptures. 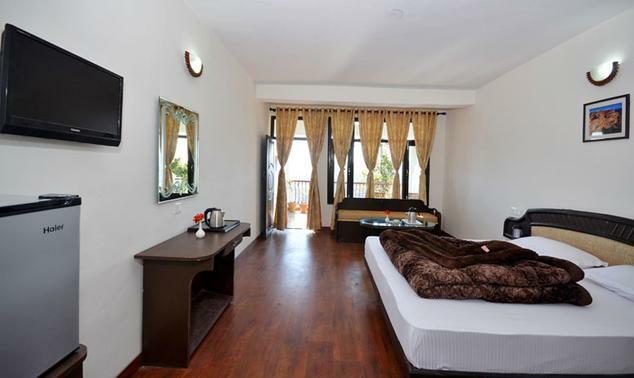 The spacious Luxury Rooms also offer ample space in which guests can perform their daily duties without any problems. 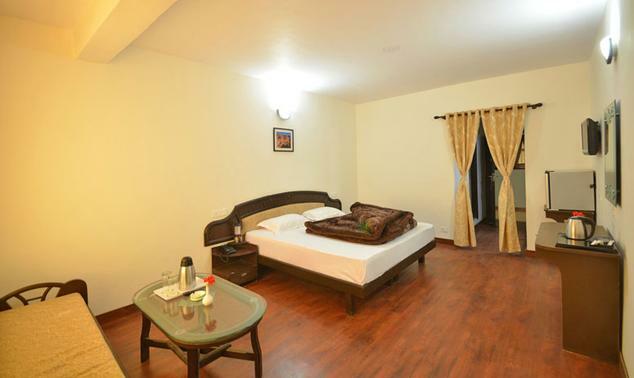 As the name suggests, the Luxury Rooms are the best rooms at the resort and are provided with best of facilities and services to ensure complete comfort to guests. The main among them include television with cable connection and subscription to premium channels, telephone line with intercom facility as well as direct dial service, mini bar or refrigerator, daily newspaper facility, high speed internet access through Wi-Fi, tea and coffee maker, safety deposit locker and many others. 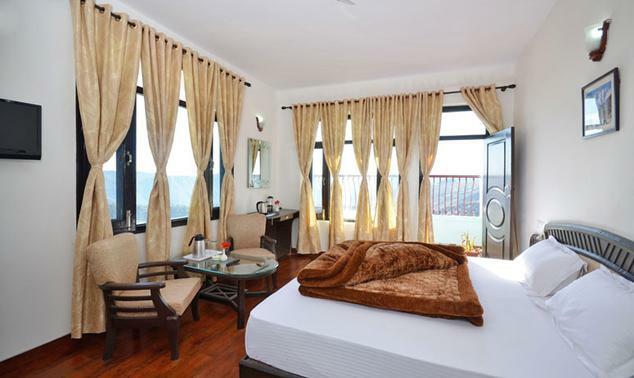 The lavish nature and premium feel of Luxury Rooms make it an ideal accommodation option for VIP guests and high profile patrons visiting Mukteshwar.